Is Search Engine Submission Necessary in Search Engines? Home >> Internet Marketing >> Is Search Engine Submission Necessary in Search Engines? When you create a website, you don’t just create for the sake of keeping it hidden from search engines but use it to the utmost level for the business purpose. Though creating a website is lot more easier promoting and making them visible in search engines can be tiresome. If your website doesn’t have huge profit margin aligned to it during your start up period then Search Engine Submission would be an ideal method to proceed towards the difficult level. By doing so you will be able to link your website popularity, rank and traffic making your business more valuable and profitable. Before proceeding with the benefits and other areas of Search Engine Submission, let’s find out what Search Engine Submission is. A simple yet effective tool used by the webmasters to promote website pages in search engine. It is a form of internet marketing which involves the process of direct submission of website to search engines. Search Engine Submission involves two processes. First process involves “One at a time” concept, where the web page is submitted one by one via webmaster tools like Bing Webmaster and Google Webmaster Central through the generation of up to date robot text file and up to date site map file. The second process involves “Massive Submission” concept where the entire web site pages is submitted to several search engines. In this process webmaster submits the homepage of a website and then the rest will occur repeatedly after the site is enlisted to the database of multiple search engines. What are the merits of using Search Engine Submission? Visible ranking of your business website in major search engines. Direct diversion of traffic to your website. Brand, product and service awareness. Informative content for intelligent placement. Presence of your business in e-platform. Why is Search Engine Submission Important? This tool is important for new websites who are seeking out ways to generate organic traffic. However, majority of search engines today use links and index page to crawl. Using this concept, an assumption is made that the search engine will crawl the web page from the inbound link from an existing index page. Back linking is therefore important for optimization. It requires long-term careful planning annexing short-term strategies meeting the current market requirement with proper designing, coding and good architecture of website with continuous research. 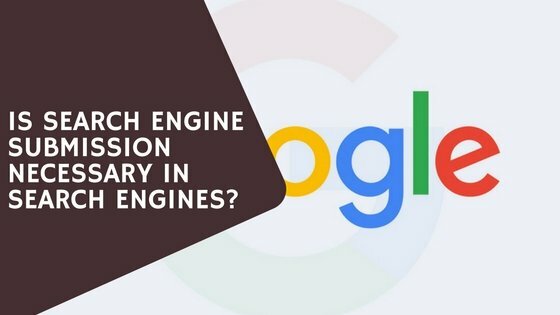 All these technique needs to be combined in order to produce higher search engine result.